Cook pasta according to packet instructions. Drain and put aside. Place avocado, basil, spinach, olive oil, cream, garlic and lemon juice into food processor. Blend until creamy and add salt and pepper to taste. Pour contents into cooked pasta and stir through until evenly spread. If a little dry add an extra splash of olive oil and stir through again. 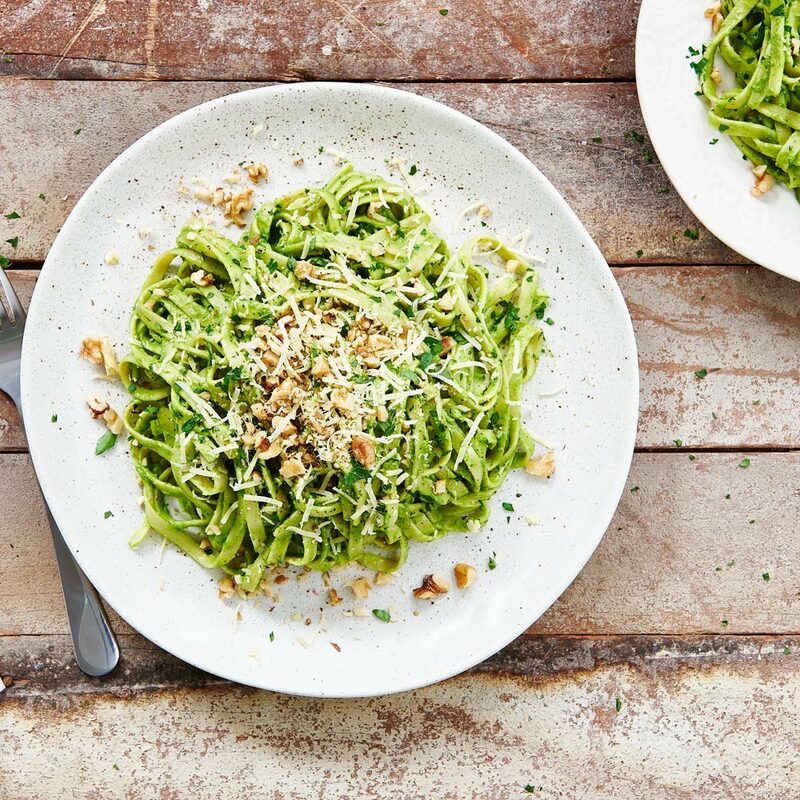 Garnish with roughly chopped walnuts, grated parmesan and parsley.